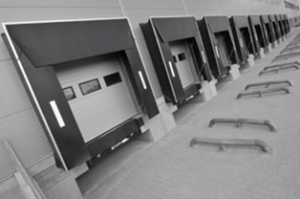 For over 50 years, we have produced and supplied our private label (non-branded), state-of-the-art, products to docking equipment businesses and door companies worldwide. We offer over 30 high quality products which you can: Immediately add to your catalog, order pieces on demand and easily brand as your own. The latest generation curtain dockshelter is suitable in almost any situation! The DSCM dockshelter is available in many different types and sizes with a wide variety of customized options. 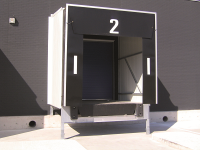 We are therefore proud to mention that thousands of our DSCM dock shelters have already found their way to satisfied customers throughout the globe for over years now. Appearance does matter: Optimum aesthetic finish AND your logo on top of the curtain! 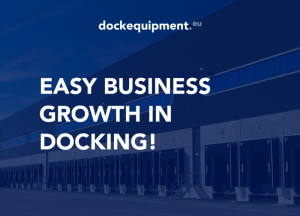 Reduce your R&D cost and Time to Market by outsourced production of a complete range of high quality and reliable dock equipment products, all “Made in Holland”. 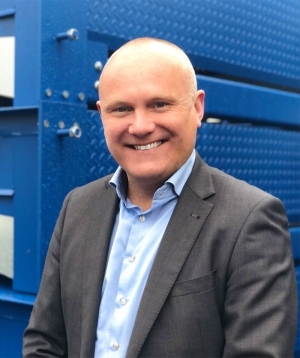 Further elevate your own brand on the basis of 50+ years’ experience, a highly automated State-of-the-Art production and competitive market compliant products. Gain access to full technical and commercial support via our Area Managemer and Customer Support Center. Easy Online Quoting and Configuration System. I would like to explain this and meanwhile introduce myself to you in a personal meeting. contact you in the near future to further discuss our proposition!